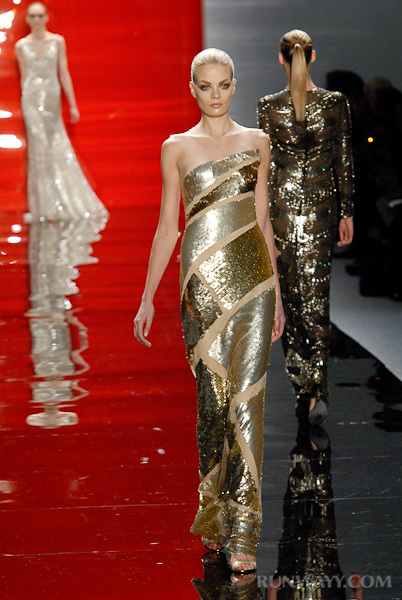 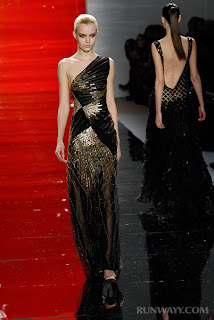 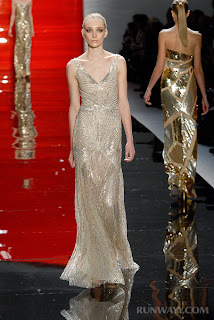 Reem Acra Fall 2012 is fierce with feminine power, shown through leather sheath dresses and pencil skirts and stunning red carpet- worthy embroidered, beaded and sequin gowns in silk chiffon and silk crepe and tulle. 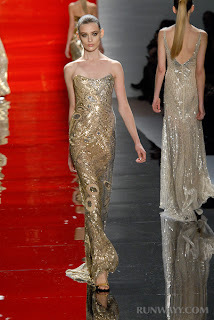 Metallics, sequins and lace are seen throughout the collection. 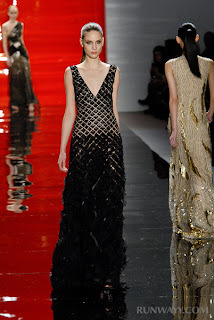 Ebony (black) and metallics dominate the collection, with geometric designs, peek-a-boo cutouts and bold, contrasting fabrics of lace, boucle and tweed. 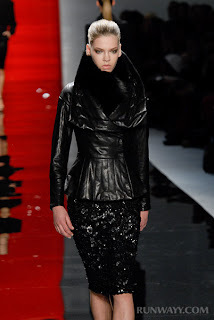 My favorites include the beaded leather bolero jacket over top-stitched leather sheath dress, embroidered stretch silk chiffon legging, trapunto-stitched fitted leather jacket with peplum, three quarters sleeve beaded sheath dress and multi-sequin starburst v-neck gown.